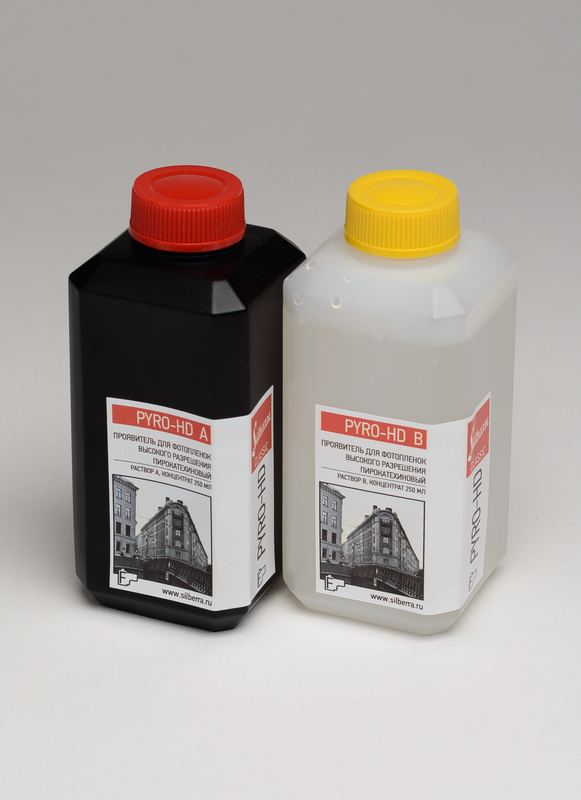 Silberra PYRO-HD is a concentrated catechol-based equalizing film developer, similar to Pyrocat. The developer provides high-resolution negatives, compensates high contrast and slightly tints the negative in warm tones. 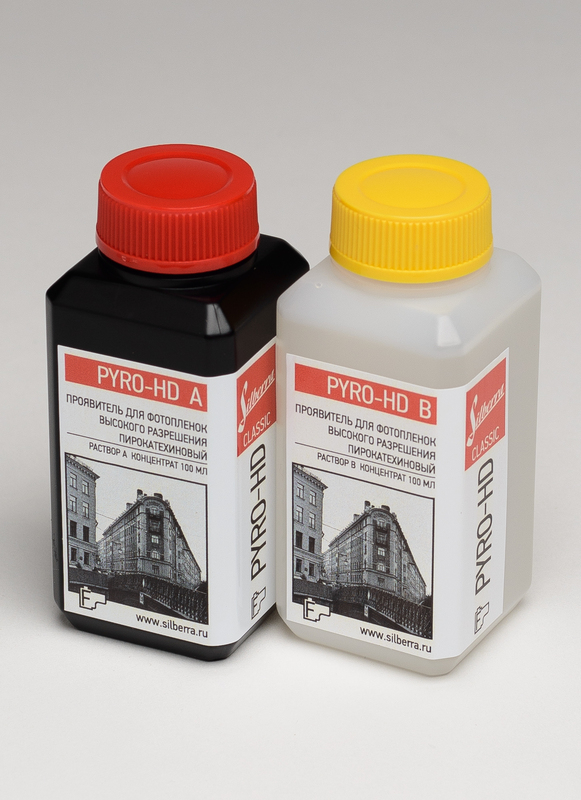 Depending on dilution ratio Silberra PYRO-HD may be used both for normal tank processing ( 1:1:100 dilution) and for stand processing as well ( 1:1:200 dilution ). The developer is supplied as liquid concentrate in two parts, subject to mixing before use. 2) dilute the mix of concentrates by 100 parts of distilled water. For example, to prepare 1 litre of Silberra PYRO-HD stock developer you'll need 10 ml of concentrate A, 10 ml of concentrate B and 1 litre of distilled water. Average development time for most films in Silberra PYRO-HD Developer is 14-15 minutes. Optimal times to process specific films are stated either by manufacturer of the film or can be learned from the table of developing times below. Silberra PYRO-HD Developer working solution is recommended for single use only. The solution makes negatives slightly and very evenly tinted with warm tone. Keep Silberra PYRO-HD Developer in a cool, dry and dark place. Keep away from children. All the solutions must be kept in tightly sealed bottles, with low internal air volume. Silberra PYRO-HD Developer expiry date is determined by the Concentrate A expiry date that is only 5 months; concentrate B can be stored for 12 months. Stock developer has is non-reusable and must be used within 1 hour after preparation.